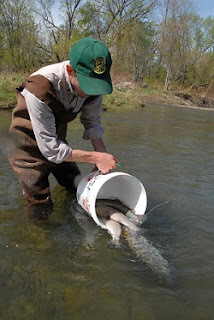 Steelhead can be spotted moving up the falls during warmer days in early May. 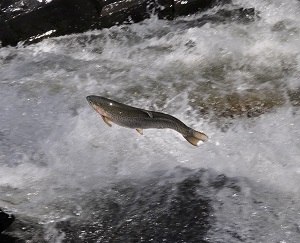 The best times to spot the fish leaping the falls are in late morning and early afternoon as the sun warms the waters. Willoughby Falls and a section of river upstream are closed to fishing until June 1 to protect the fish while they are spawning, although there are great fishing opportunities downstream from the falls.